SAMSUNG, an official sponsor of the Orange Africa Cup of Nations, SOUTH AFRICA 2013, has launched its signature song called Samsung Football Anthem for the tournament. Under the theme: ‘Our Passion Powers Africa’, the company aims to bring the spirit of the game to its consumers. The anthem will encourage Africans to stand tall, support their favourite teams, and get involved in the games. The song was produced by Michael Collins Ajereh, better known as Don Jazzy, a Nigerian Multi-award-winning record producer, singer, songwriter, musician and CEO of Africa’s/Nigerian’s number one record label, Mavin Records. The Samsung Football Anthem, “Our Passion Powers Africa” encourages fans to get involved and share in the spirit of the tournament. With lyrics in English, it is a song that talks about celebration and joy among all people, breaking down barriers that would hinder peace and unity. 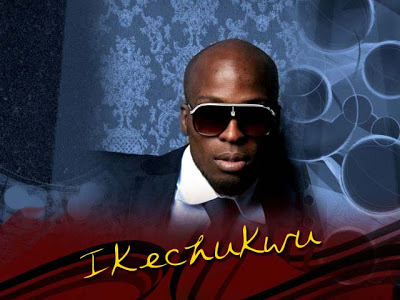 The song is a mix of many genres, including pop, electro-house, dance, and African, making it very appealing to a wide range of listeners. Through rhythmic Africa sound and cheering voices of football fans the anthem is expected to resonate where football fans are gathered to cheer their national teams. 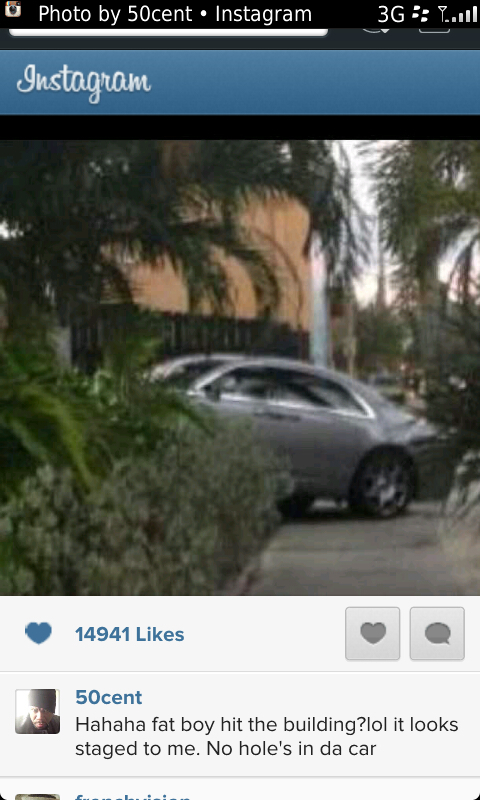 On the 28th of January, Rick Ross crashed his Rolls Royce in Fort Lauderdale, Florida after someone fired shots at his vehicle, prompting him to drive his car into a building. His longtime foe 50 Cent took to Twitter shortly after news broke, posting a picture of the vehicle being towed and noting that it did not have bullet holes. “Hahaha fat boy hit the building?lol it looks staged to me. No hole’s in da car,” wrote Fif. Though the longtime beef between Ross and 50 has simmered over the past year, tensions mounted at the BET Hip-Hop Awards last September after members of the G-Unit clique got into a brawl with Maybach Music Group’s Gunplay. Ironically, the ceremony was the same location where 50 publicly mended fences with Fat Joe. While speaking on his forthcoming album, Street King Immortal, Queens rapper 50 Cent revealed to Fuse TV that if an artist allows it their record can easily be taken over by a guest appearance from Eminem. The Interscope artist shared that that’s pretty close to what happened while he was recording “My Life” featuring Eminem and Adam Levine. According to 50 Cent, he left the studio while Eminem was recording his verse and since he wasn’t present to stop the rapper at the 16-bar mark Em went on to record a solid 24 bars. On top of “My Life,” Eminem will also appear on the Street King Immortal record “Champion,” which 50 Cent also spoke with Fuse TV about. Although an official tracklist for Street King Immortal has yet to be revealed, 50 Cent has confirmed a handful of the project’s features. Confirmed guest appearances on the album thus far include Chris Brown, Eminem, Dr. Dre, Young Jeezy, and more. 50 Cent is in negotiations to sell an animated comedy series about his life to FOX. According to Deadline, the rapper is working with feature producer Randall Emmett and Imagine TV to sell the untitled project, which is loosely based on his adolescence. The series, written by Carl Jones, is expected to be given a pilot or presentation order, focusing on “a mischievous but well-meaning boy who often tangles with his eccentric family and neighborhood.” In addition to Fif, Jones and Emmett, executive producers on the project include Imagine TV’s Brian Grazer, Francie Calfo and Andrew Jameson. 50 has previously adapted his life for the big screen with 2005’s theatrical release Get Rich or Die Tryin’. He will next appear in The Frozen Ground and The Tomb, and is executive producing the upcoming drama series Power for Starz. After months of controversy surrounding Snoop Lion’s religious conversion and name change, it looks like his documentary Reincarnated has finally secured a release. According to a recent press release, Reincarnated has received a limited theatrical release beginning this March 15. The film, which is a joint production between VICE Films and Snoop’s own Snoopadelic Films, will debut in six cities across the country, including New York and Los Angeles. Reincarnated documents the Long Beach, California rapper’s decision to join the Rastafari movement and the recording of his upcoming reggae album of the same name. The film was also officially selected to screen at the renowned Toronto International Film Festival. Most recently, Bob Marley and the Wailers member Bunny Wailer criticized Snoop’s film and questioned the sincerity of his religious conversion. Despite Wailer’s criticism, Bob Marley’s son Rohan Marley defended Snoop and welcomed him to the movement. A complete list of the cities in which the film will premiere, as well as Reincarnated’s official trailer, can be found below. 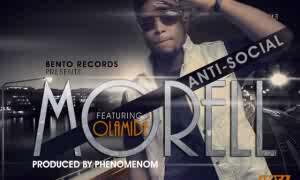 Bento Records Fore man Morell has decided to begin 2013 same way he ended last year. He begins the year with Anti Social, he hired the professionalism of the YBNL General Olamide as they both delivered a decent tune, this one should be on every DJs playlist. Listen and share your thoughts. DRB Boys drops 2 new single. 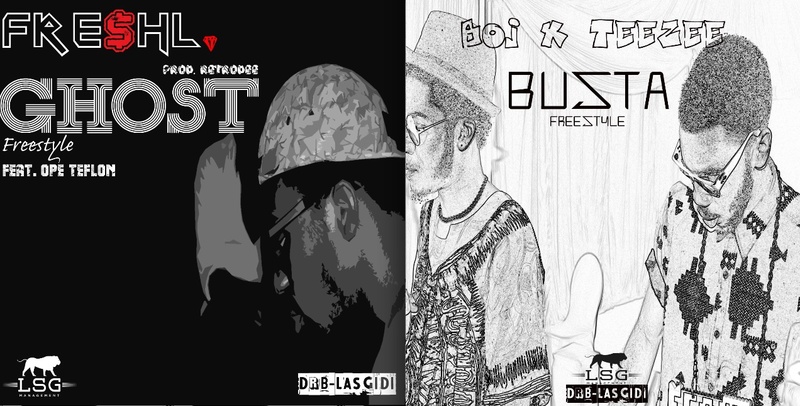 The DRB boys are back en route to their official 2nd single ‘CUT CORNERS’ with these 2 new freestyles.. The other 2 DRB-Lasgidi members BOJ and Teezee rework Busta Rhymes’s ‘I Know What You Want’ and the result was triumphant. Boj rejigged Mariah’s original chorus with his identifiable baritone style and Teezee delivered two 16s straight from the top draw..
single was written & composed by SAEON and produced by TinTin.